Through the joint efforts of the International Transport Workers’ Federation (ITF), the Marine Transport Workers’ Trade Union of Ukraine (MTWTU), the Ministry of Foreign Affairs of Ukraine and its diplomatic missions in various countries, as well as lawyers, seafarers’ relatives and various parties concerned, 57 Ukrainian seafarers returned back home in June and July of 2018, and among them 27 are the crew members of mv MEKONG SPIRIT and FREE NEPTUNE, which have been widely featured in the media. Like an American action movie On May 25, 2017, the vessel MEKONG SPIRIT (IMO 9118513, the flag of Malta) with a crew of 17 Ukrainians on board was detained off the island of Crete (Greece) on suspicion in smuggling of military goods to countries/regions under United Nations sanctions and escorted to the NATO base. 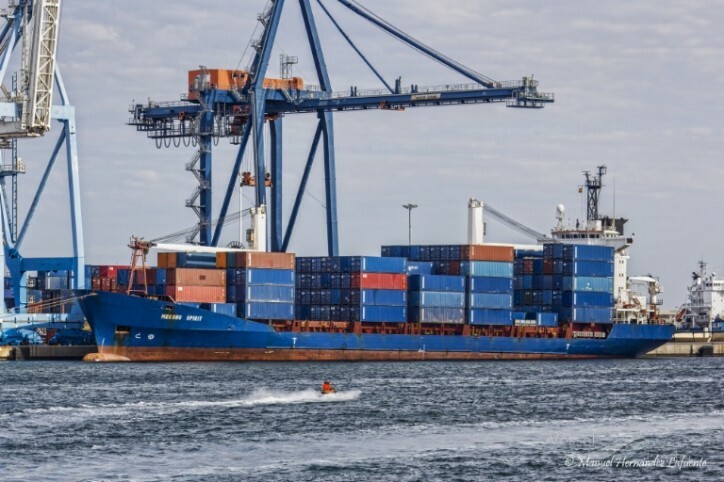 After the cargo inspection performed by the relevant Greek authorities, it was confirmed that the cargo is legal and industrial. Nevertheless, since January 2018, the seafarers were prohibited from leaving the territory of Greece, when on July 23 a court decision was issued, allowing the 12 crew members to leave the territory of Greece, subject to compulsory monthly registration at the Consulate General of Greece in Ukraine. On July 28, 2018, the seafarers successfully returned back home. Their families met them in the airport together with the MTWTU representatives. “It was like an American action movie when masked people climbed the ship and put us all on the deck face down”, recalls the Mekong Spirit Oiler. The crew release was achieved through the coordinated efforts of the seafarers’ relatives, the Ministry of Foreign Affairs of Ukraine, the Boumbouras Foundation, the ITF, the MTWTU and its Welfare Fund MORTRANS. One of the loudest recent cases is the repatriation of the Ukrainian seafarers of mv FREE NEPTUNE (IMO 9146819, flag of Liberia), who had remained on board the ship in the Sultanate of Oman since the summer of 2016 in due to the shipowner’s bankruptcy and unpaid wages. The Greek owners Free Bulkers SA declared bankruptcy and actually abandoned the bulk carrier to the mercy of fate. At that time there were 22 Ukrainian seafarers on board the FREE NEPTUNE. The vessel’s supply and medical assistance were irregular. At the end of 2016, the Ukrainians even had to go on a hunger strike to draw attention to their problems. Fishermen treated the seafarers with cigarettes and fish. The ITF helped to purchase food, and the Ukrainian Consul in Saudi Arabia assisted with provision supply. In February 2017, the seven seafarers returned home. In accordance with the MLC, 2006 Convention, the repatriation was organized by the Liberia Maritime Authority, the vessel’s flag state. In 2018, through the ITF efforts it became possible to obtain the positive court decision and the remaining crew members were authorized to legally leave the ship. After that, all the forces were directed to ensure the fastest possible repatriation of the crew. The lawyers also obtained a partial wage balance settlement for those seafarers, who signed off both now and in 2017.